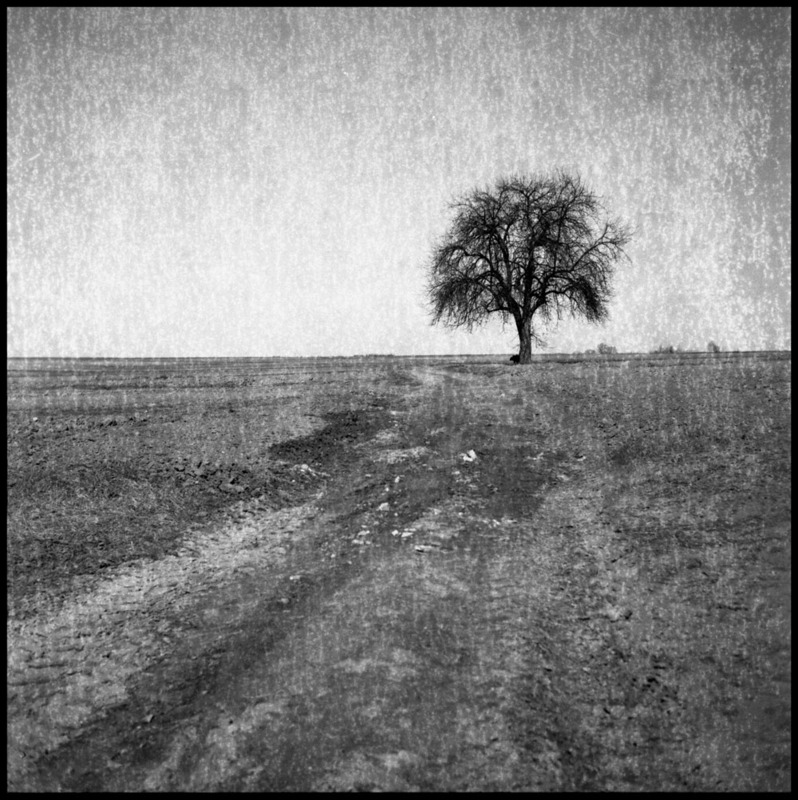 Landscape with distanced road and scratches, Maratonska Street, Łódź, January 2012. Technical info: Nikon FM2n camera with Nikon Nikkor 35mm 1:2.8 lens Тасма ФН 64 (Tacma FN 64) negative film; expiry date: 1994; nominal sensitivity 64 ASA exposed as 50 ASA; processing: 5 min presoaking, developing in Foma Fomadon R09 1:50 at 20°C/68.0°F, agitating: 30 sec. at the beginning and 10 sec. every minute for 12 min. Technical info: Rolleiflex K4B camera with Carl Zeiss Tessar 1:3,5 f=75mm lens; Foton Fotopan FL (expiry date: July 1992); nominal sensitivity film 50 ASA exposed as 25 ASA; processing: 5 min presoaking, developing two films in R09 One Shot developer, dilution 1:50 which is 15 ml of developer and 750 ml of water; temperature: 20°C/68°F; agitating: 30 sec. at the beginning and 10 sec. every minute for 12 min.